The length of umpire socks depends on your needs. 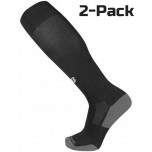 Over-the-calf socks offer more muscle support, especially for umpiring multiple games. 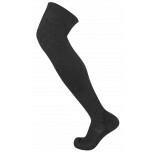 Over-the-knee socks can lessen shin guard irritation; however, tights are a better choice. New Balance, Under Armour and Force3 socks are made with performance materials and offer strategic benefits for umpires and referees. 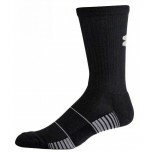 Twin City umpire socks are thicker and better choice in cold weather whereas Pro Feet offers the same features in a medium-weight sock with anti-microbial odor control.